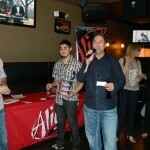 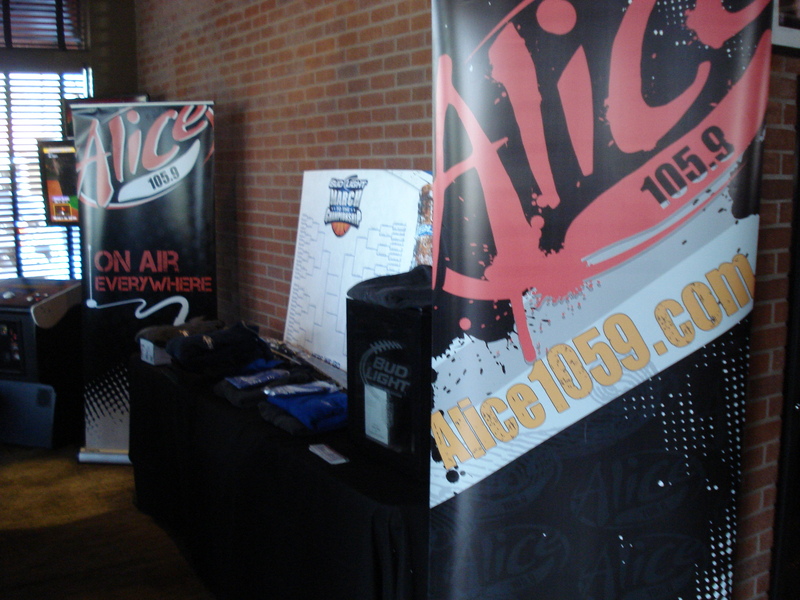 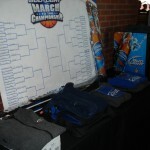 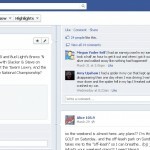 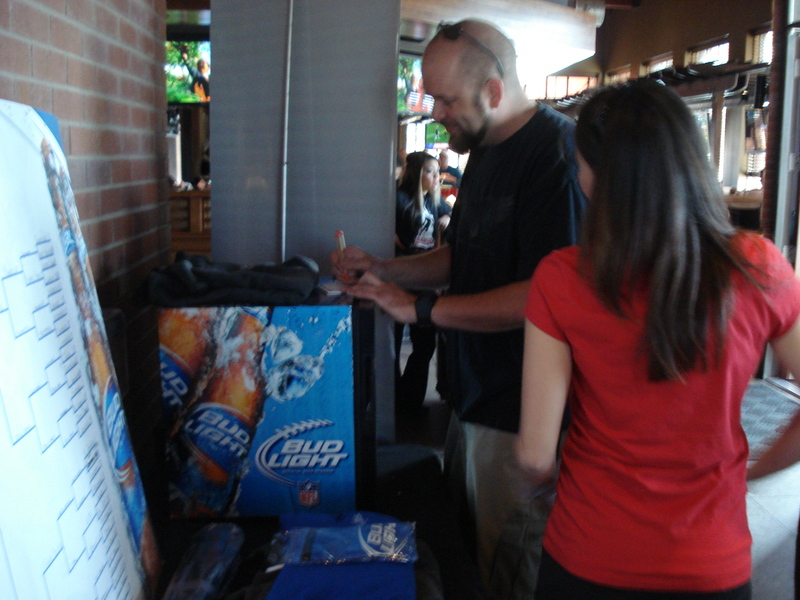 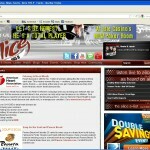 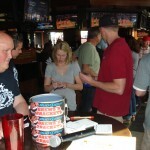 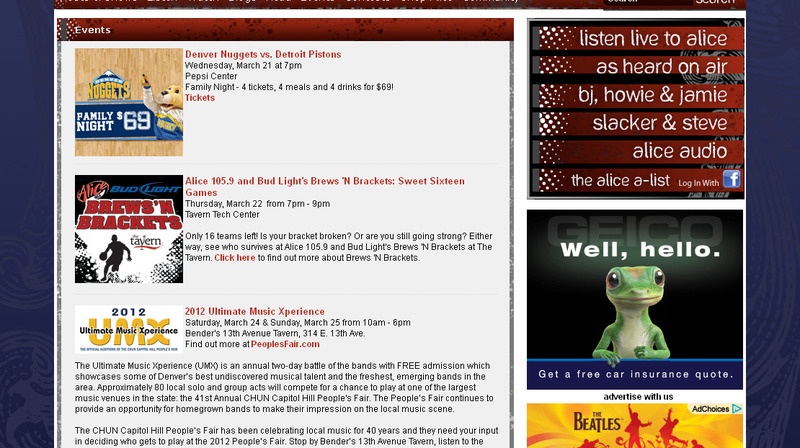 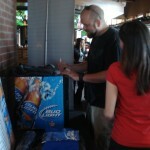 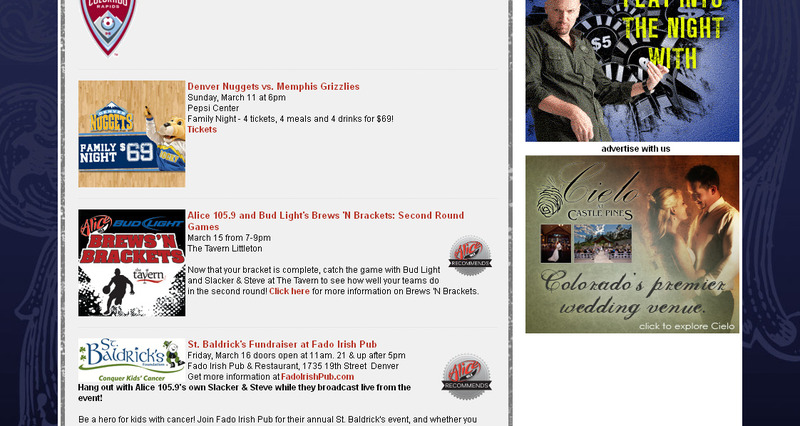 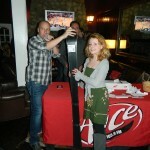 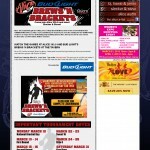 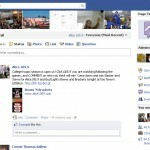 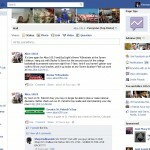 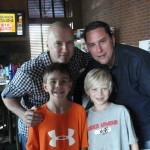 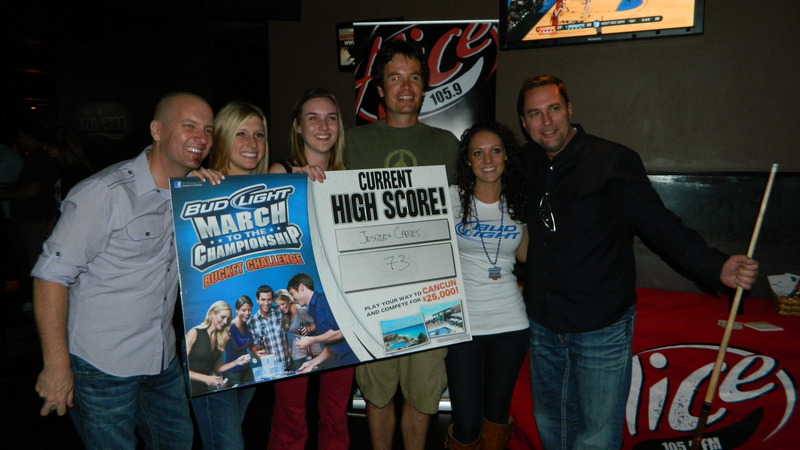 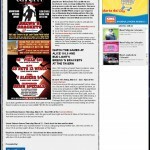 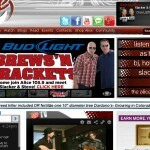 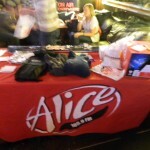 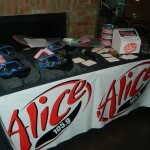 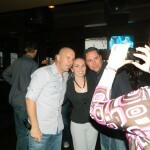 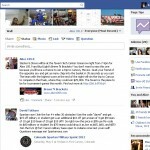 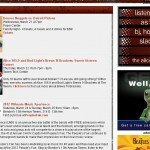 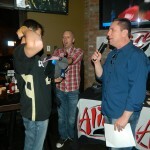 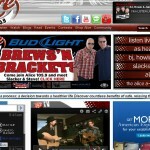 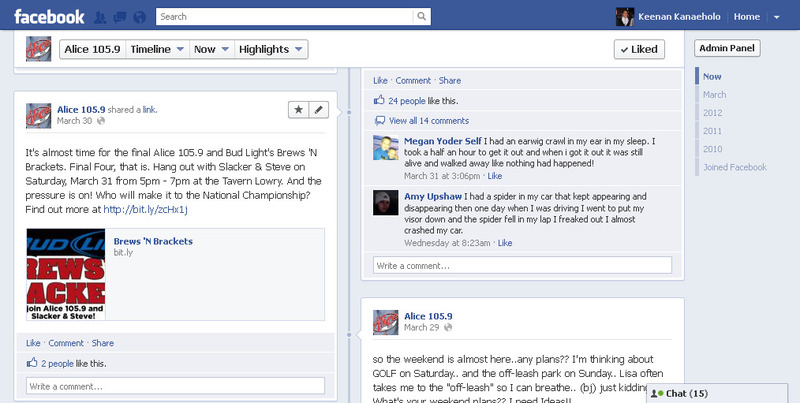 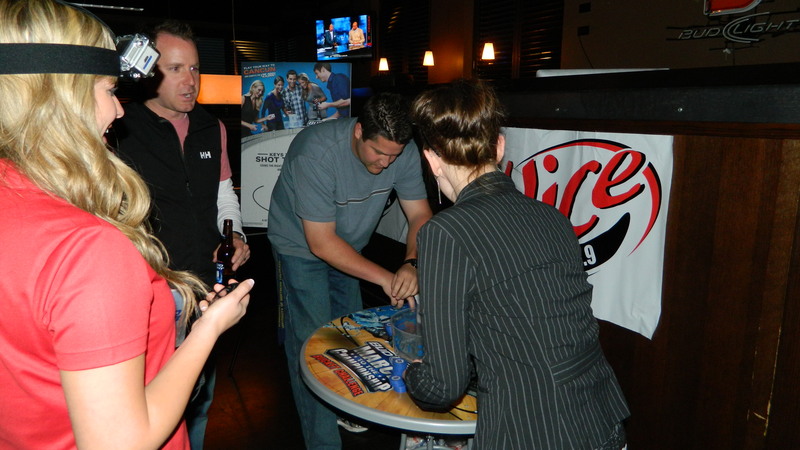 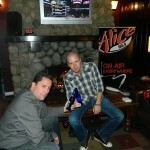 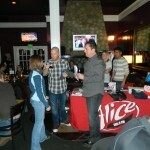 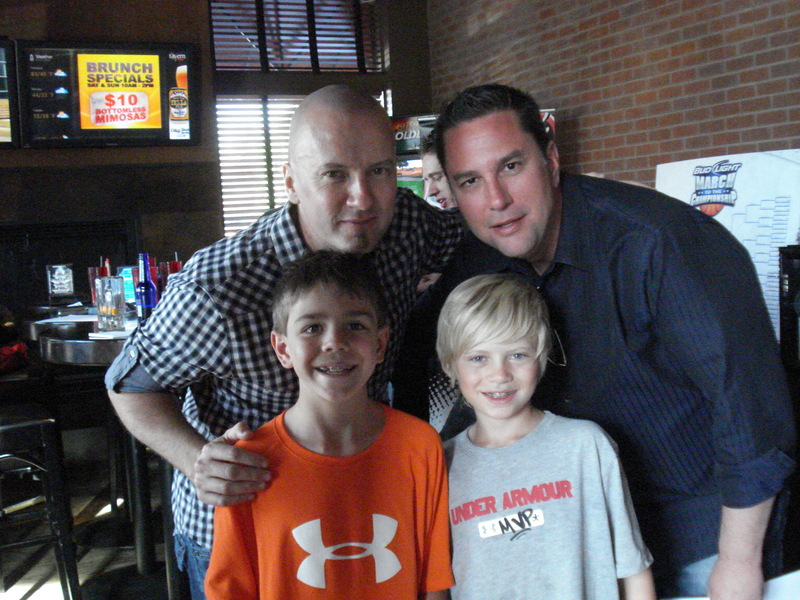 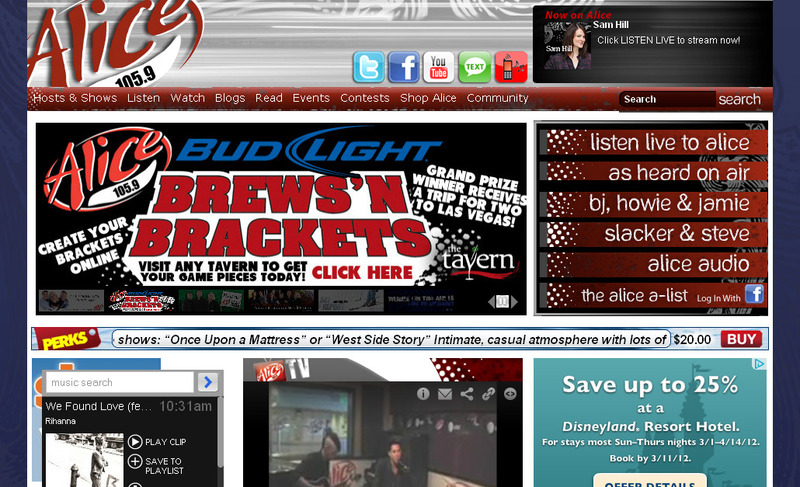 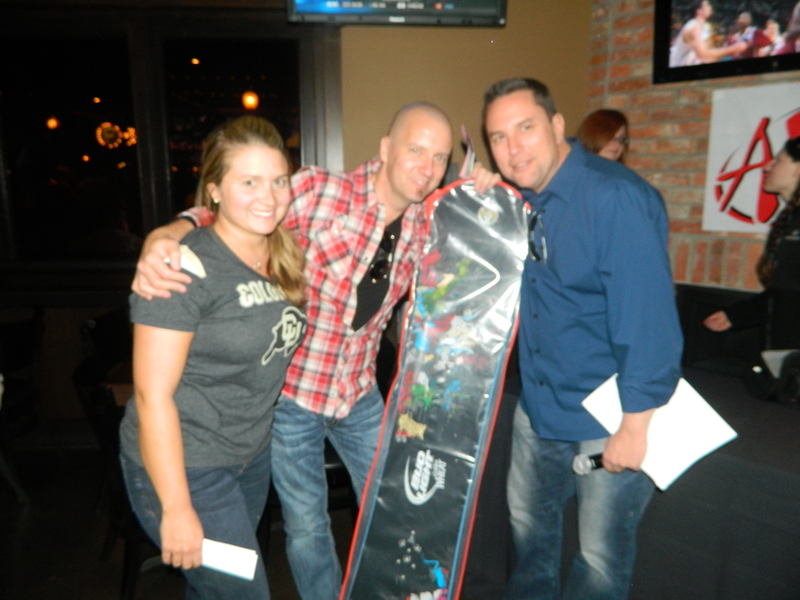 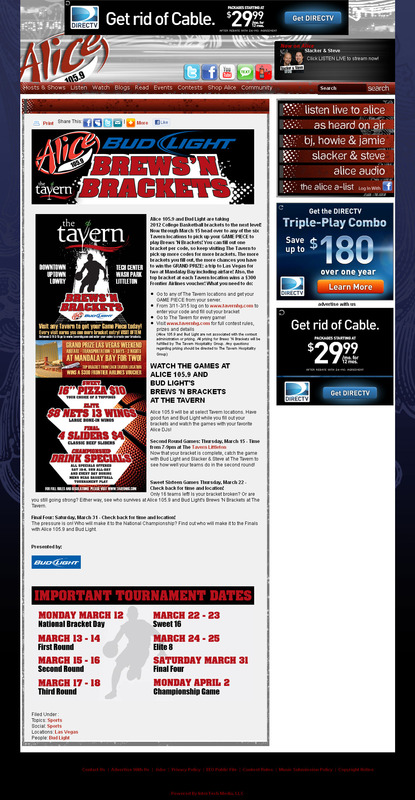 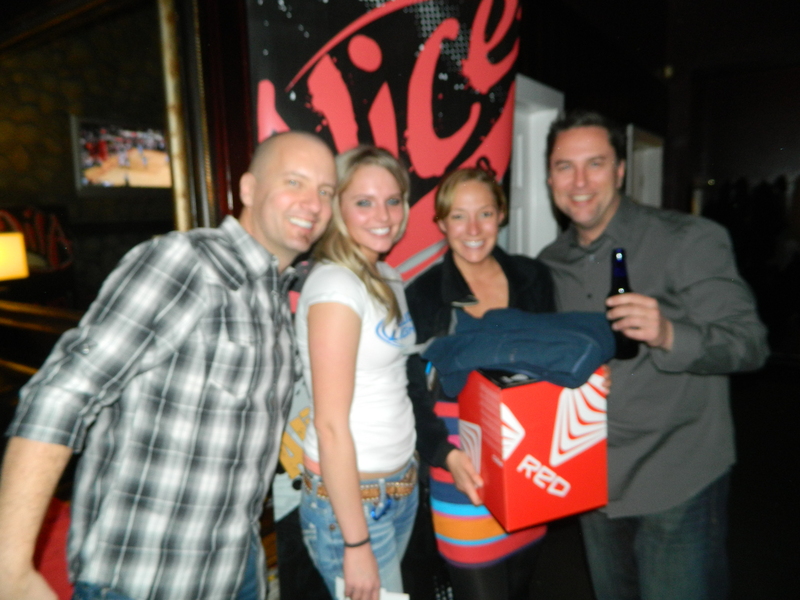 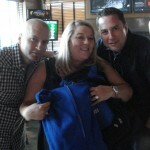 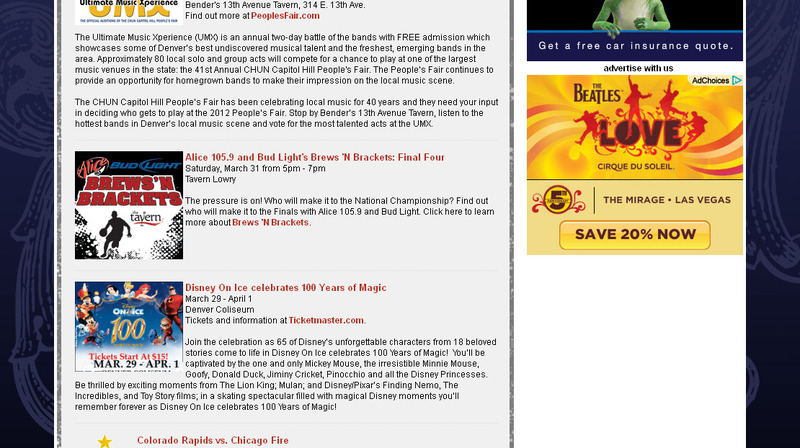 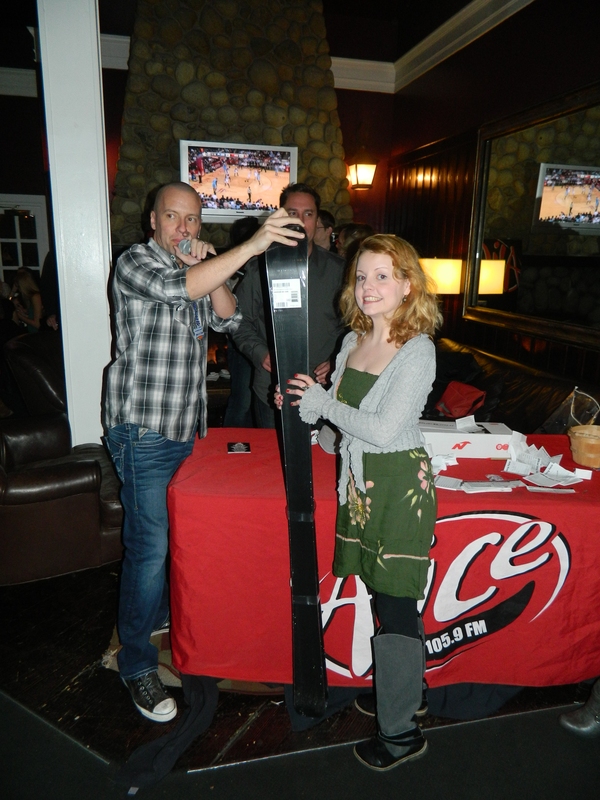 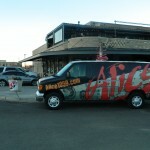 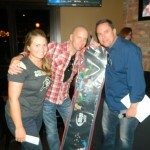 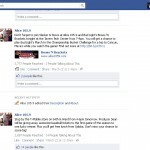 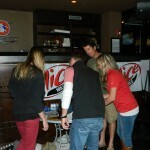 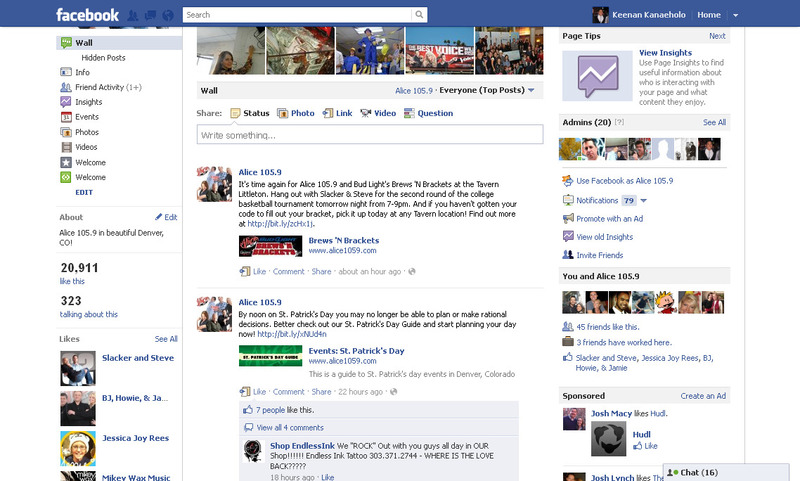 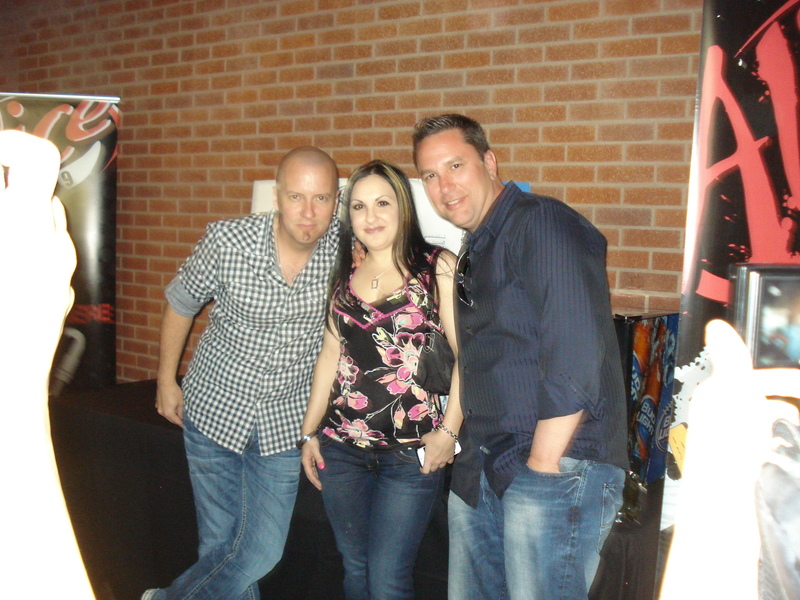 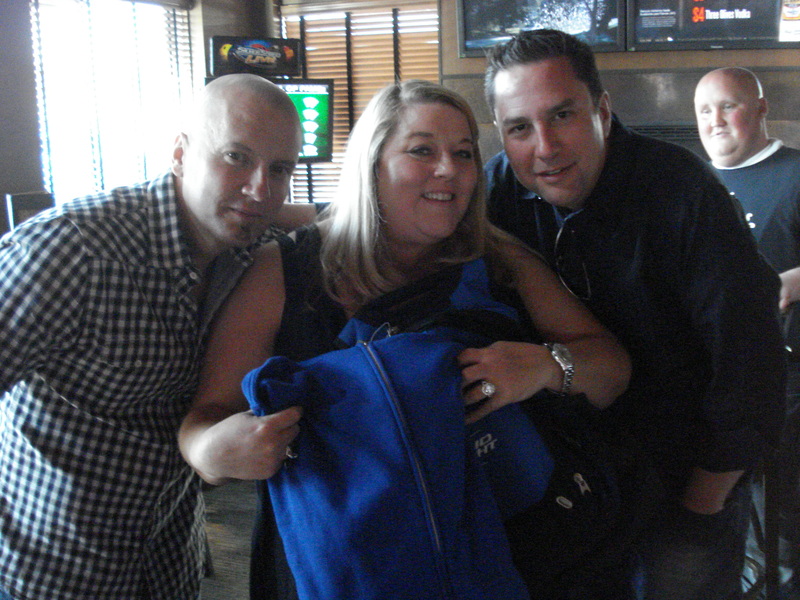 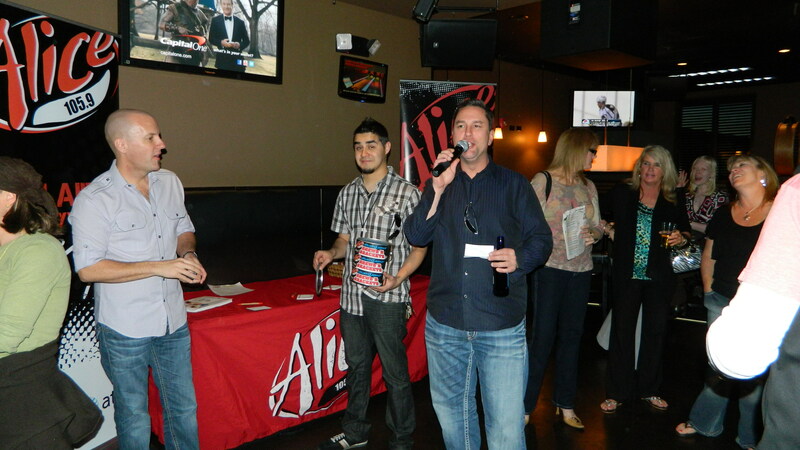 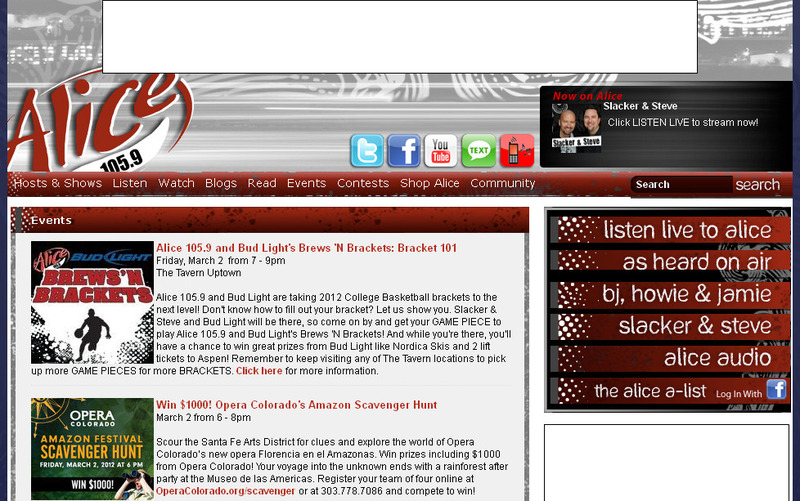 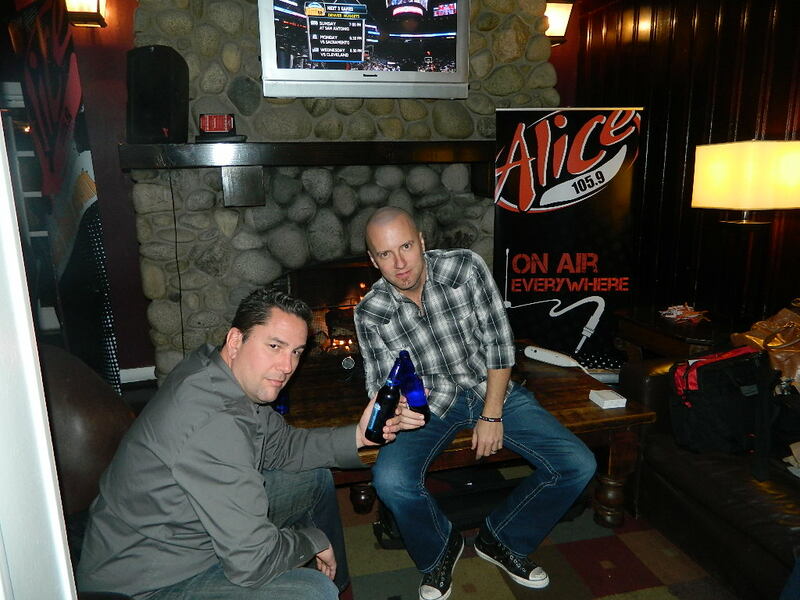 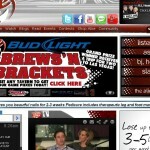 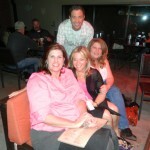 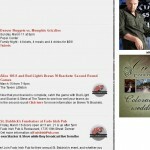 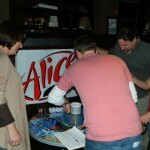 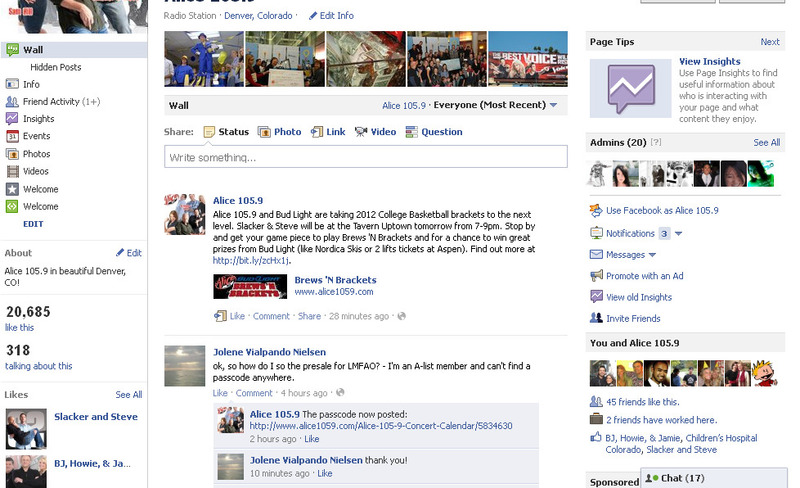 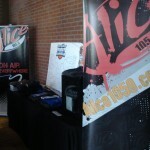 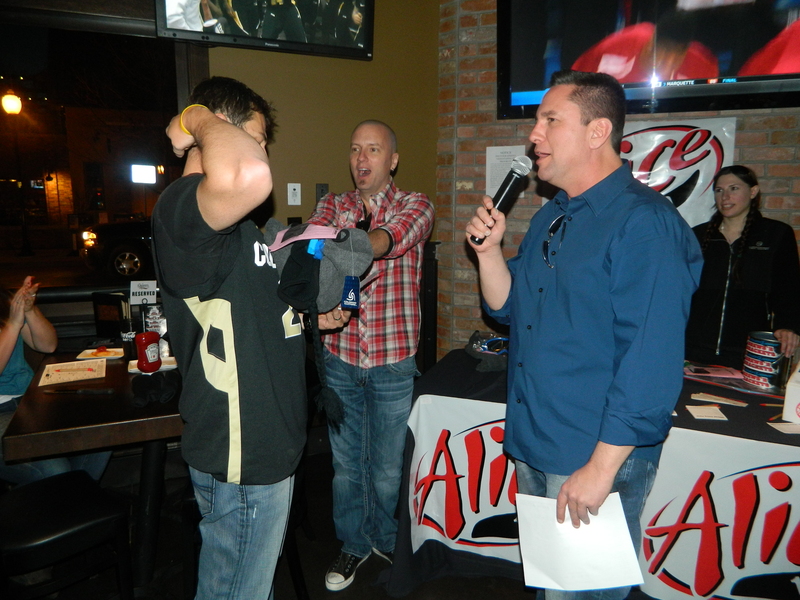 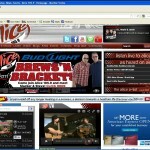 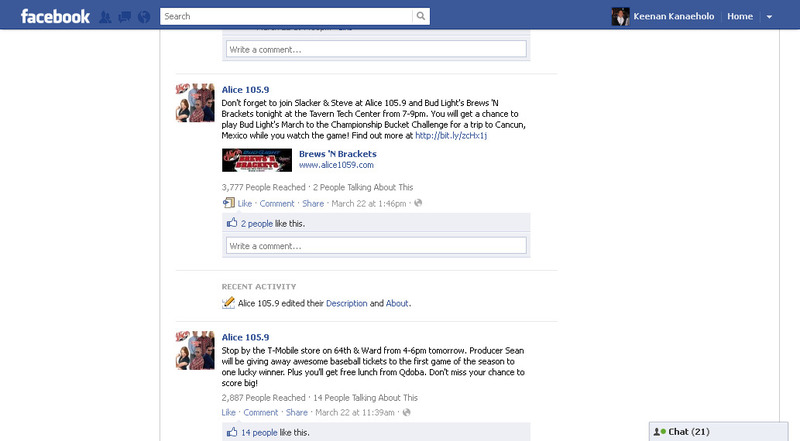 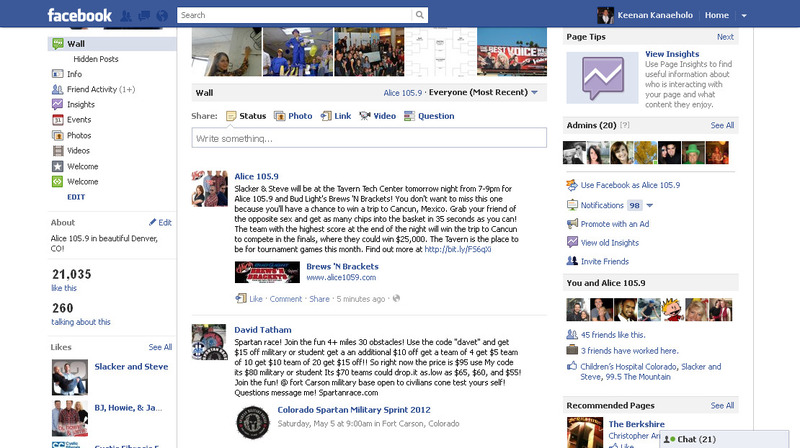 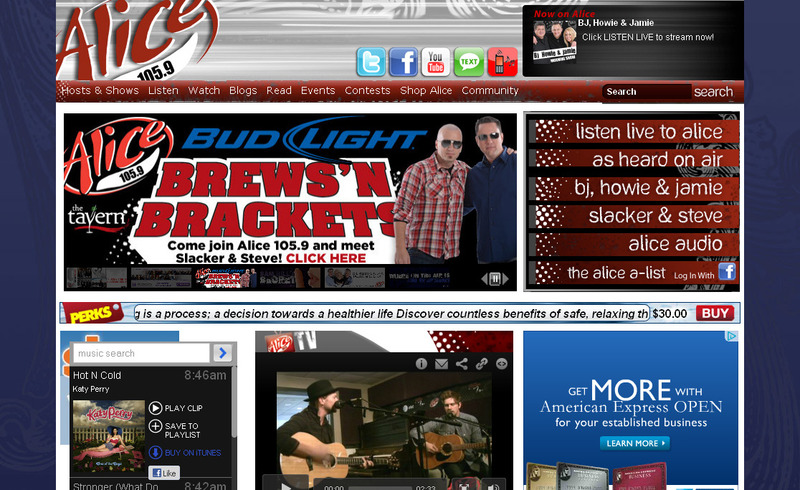 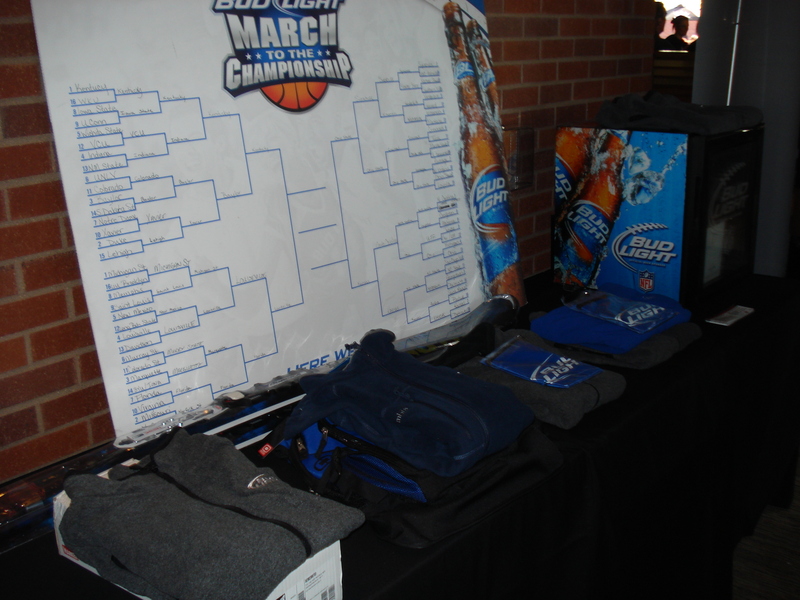 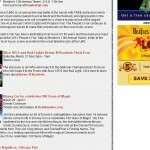 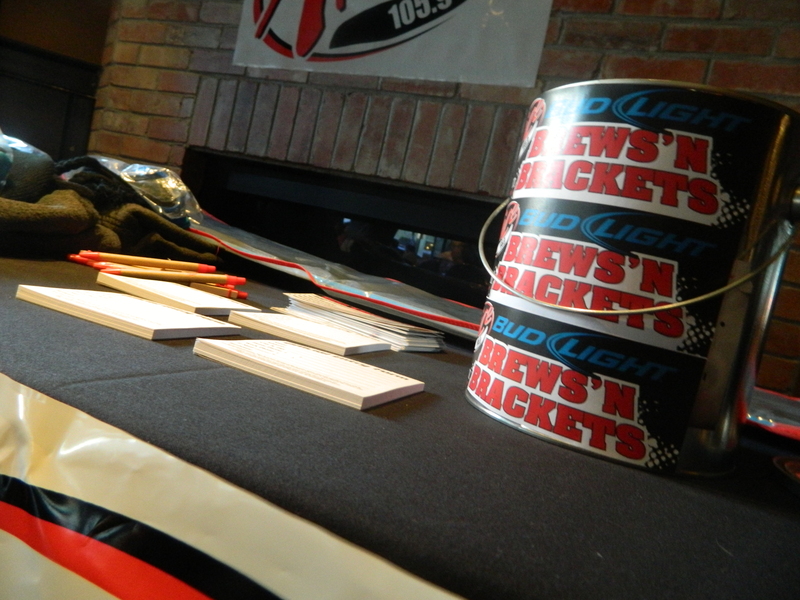 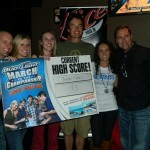 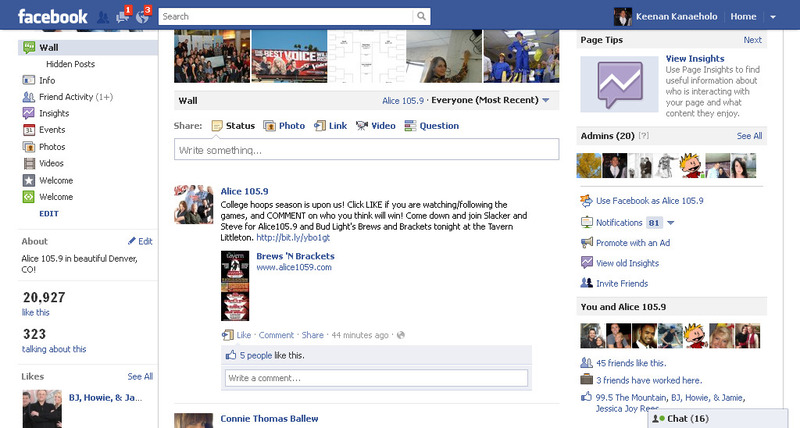 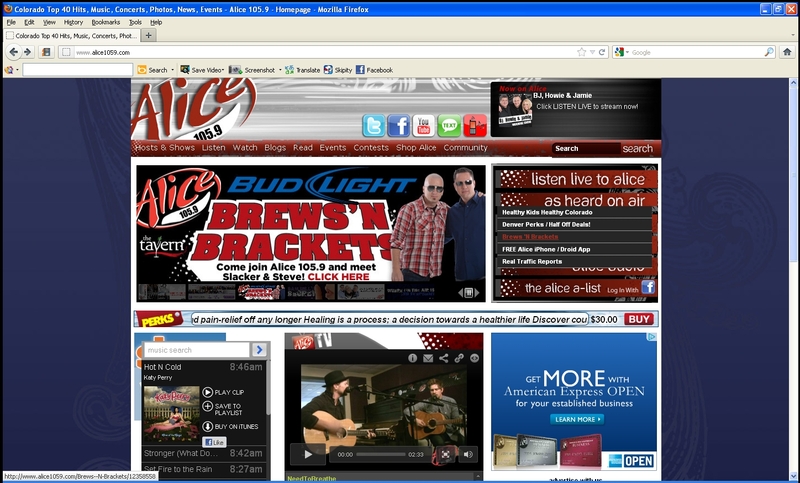 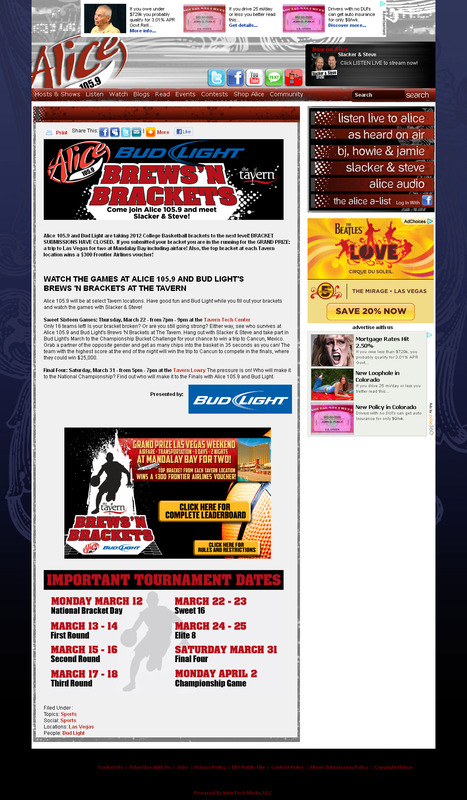 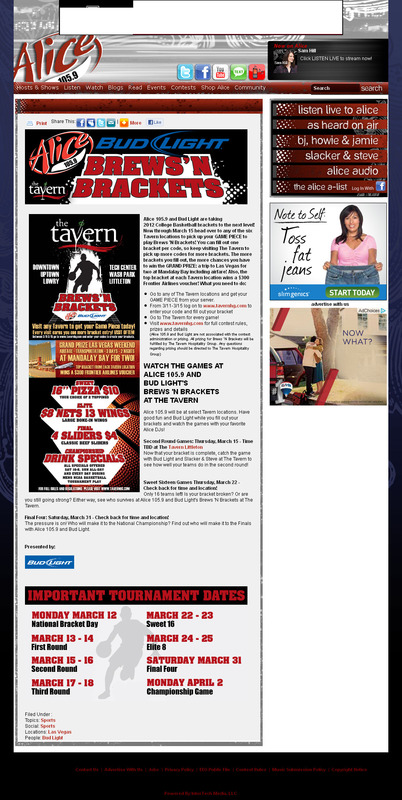 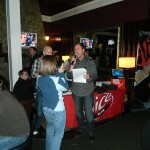 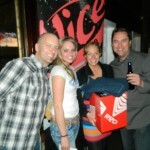 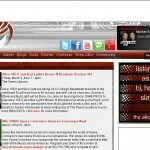 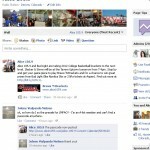 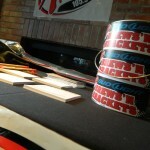 The Tavern, Alice 105.9 and Bud Light took 2012 College Basketball brackets to the next level. 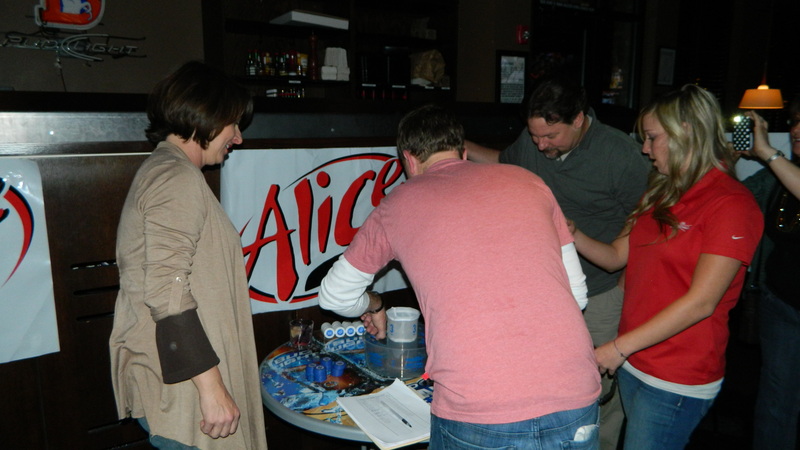 Throughout March Alice listeners were encouraged to head over to any of the six Tavern locations to pick up their GAME PIECE to play Brews ‘N Brackets and to watch all of the March Madness action! 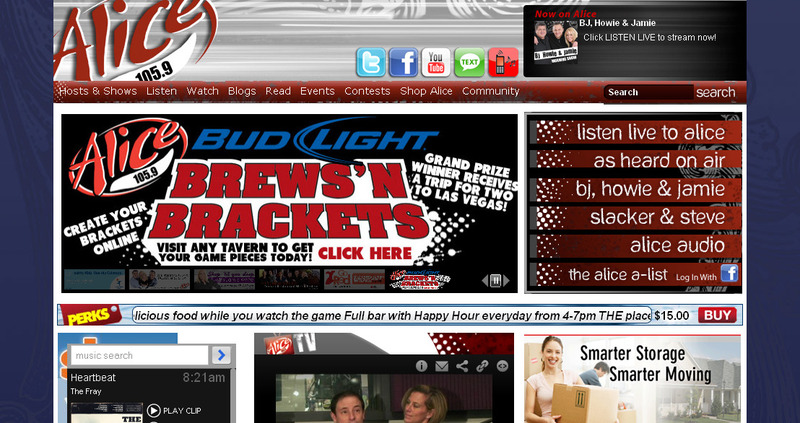 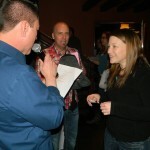 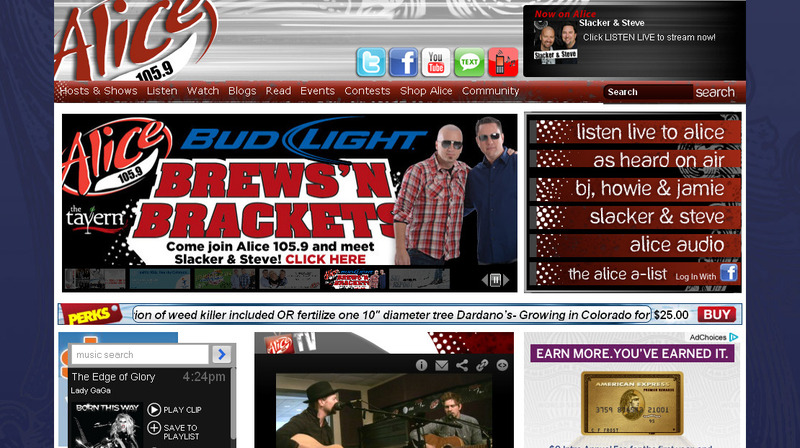 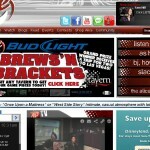 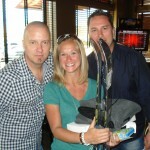 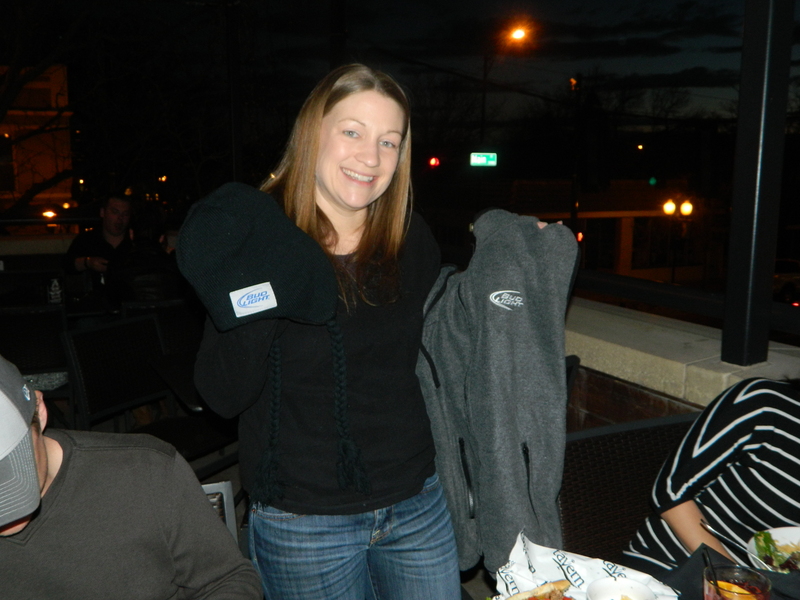 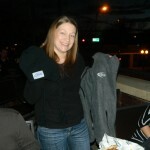 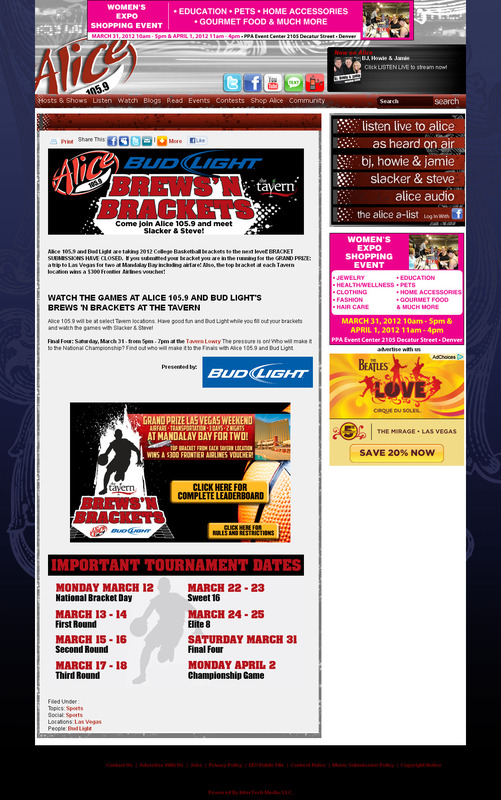 Through on air commercials, online components and on site appearances Alice will promoted Brews ‘N Brackets, Bud Light and The Tavern. 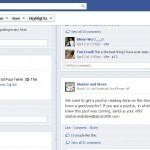 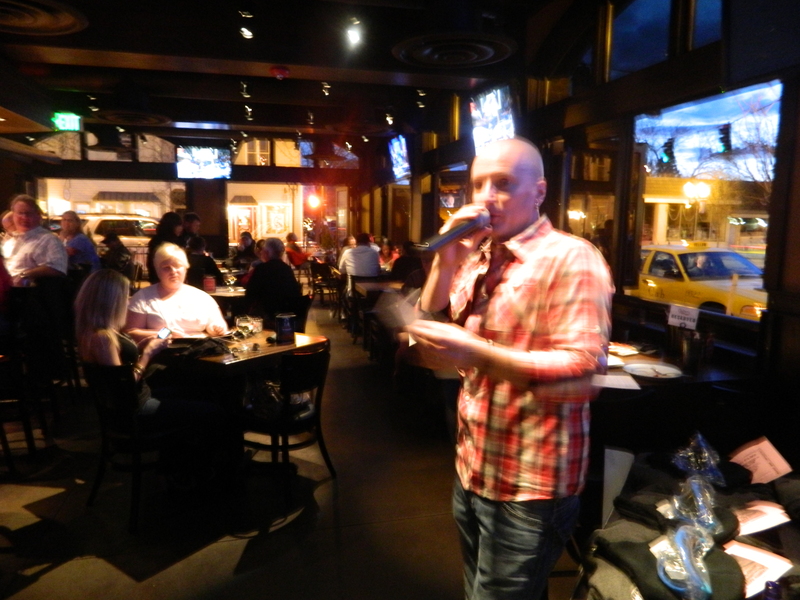 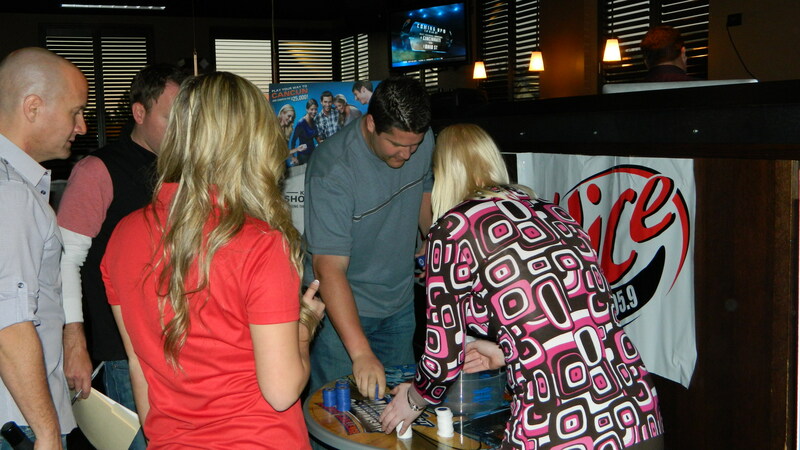 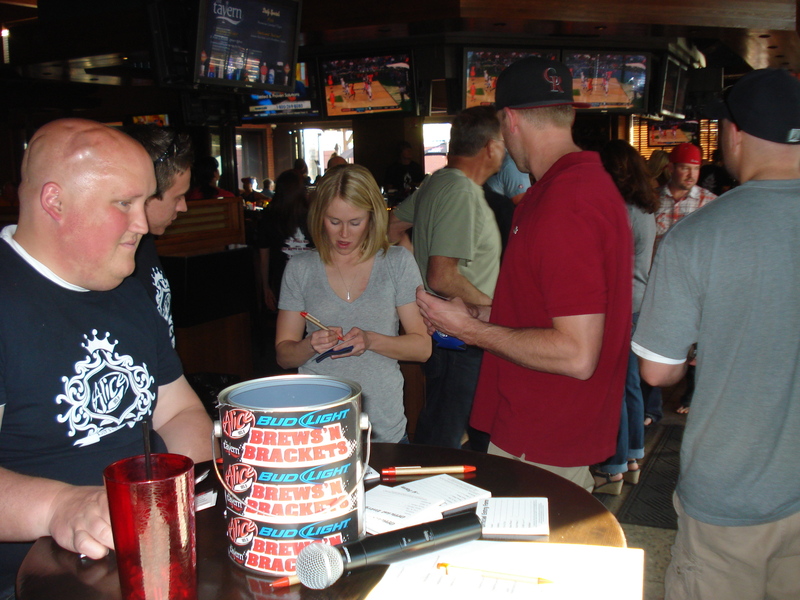 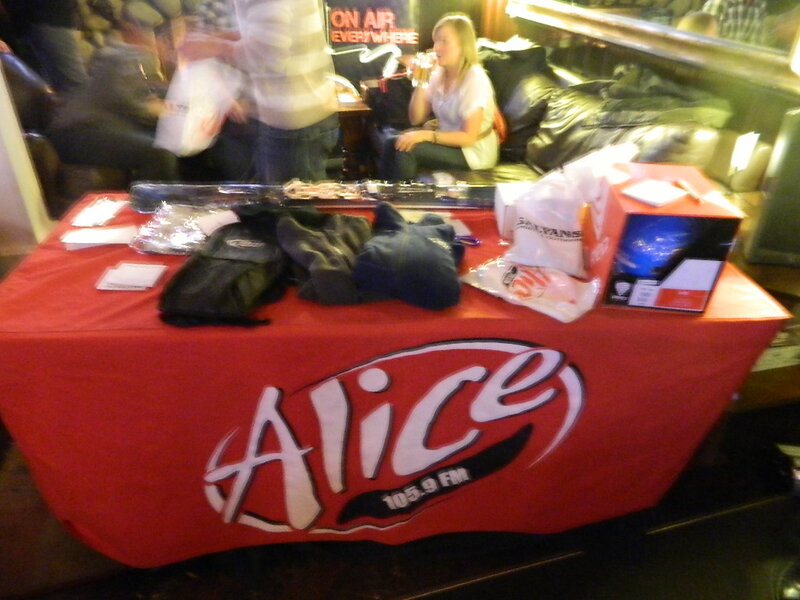 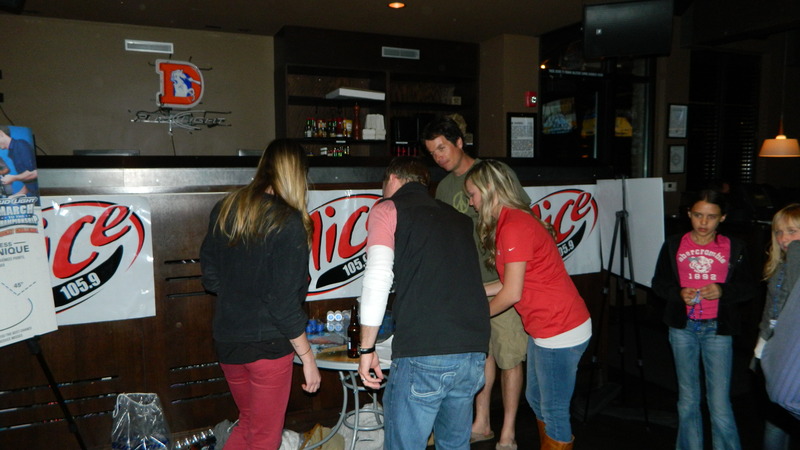 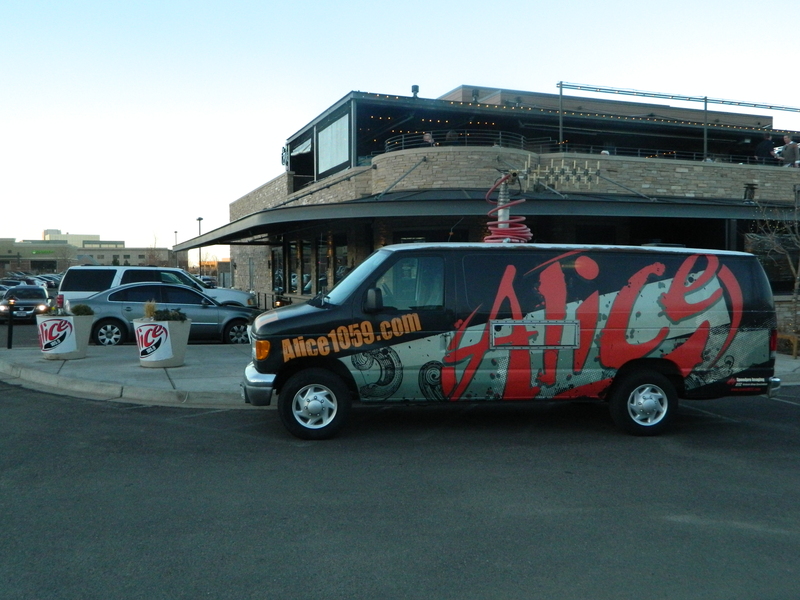 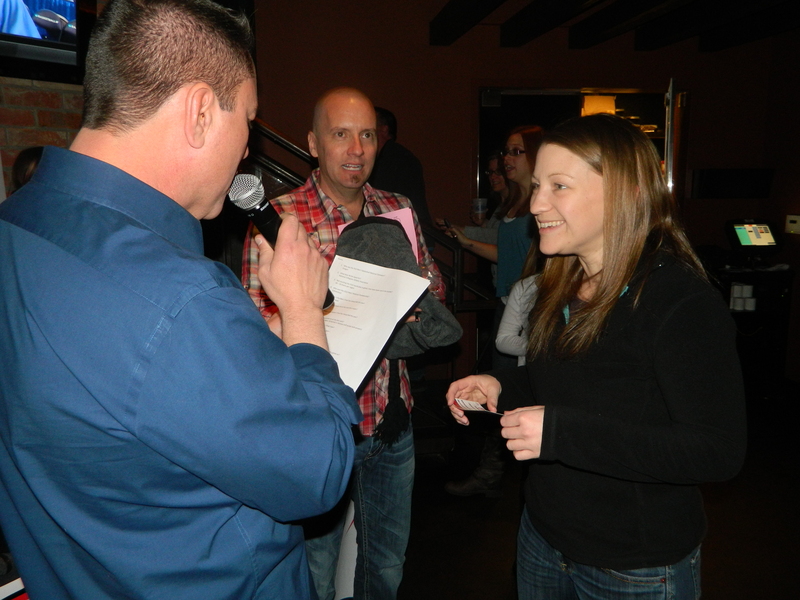 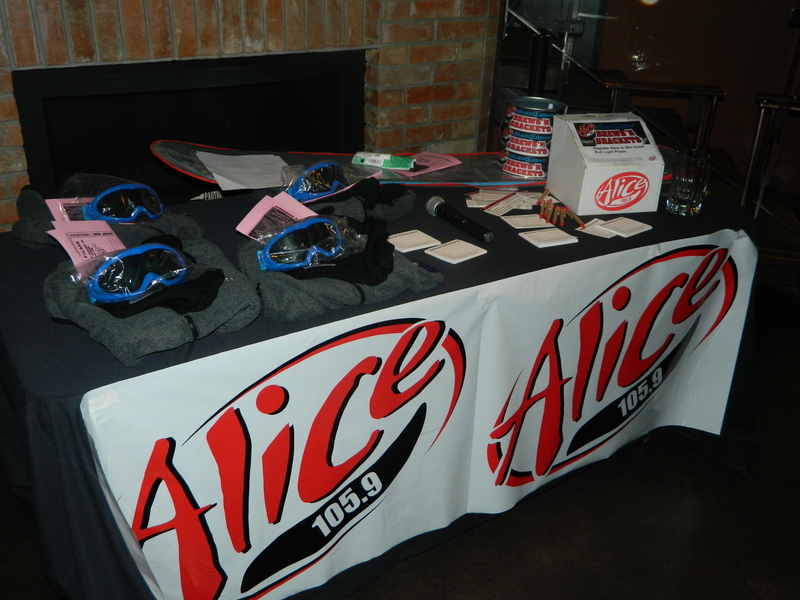 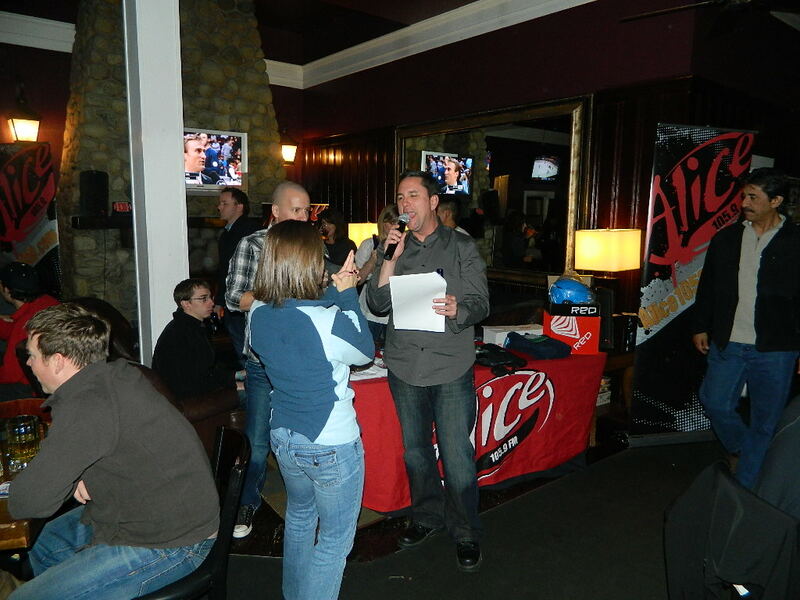 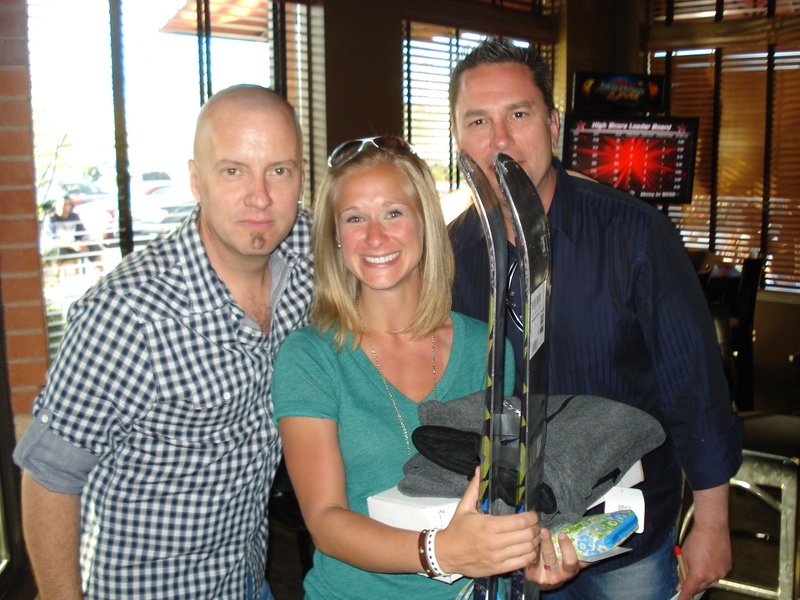 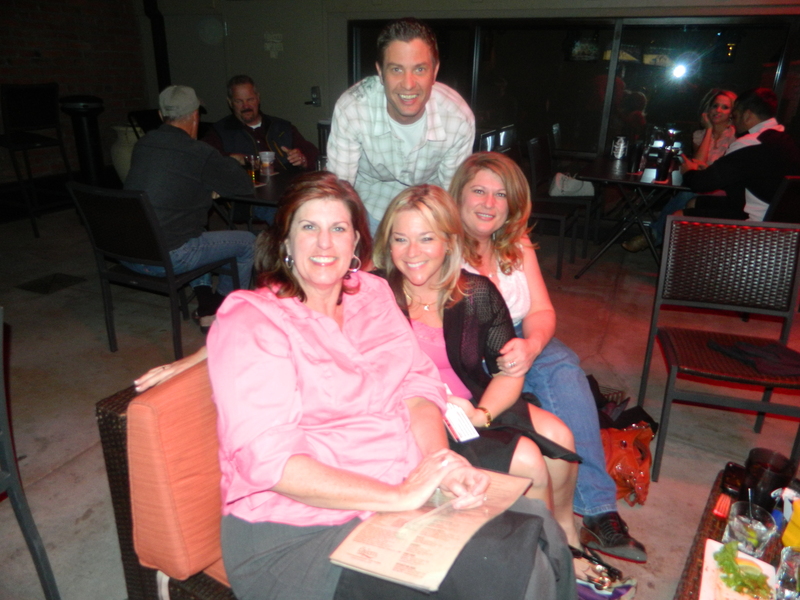 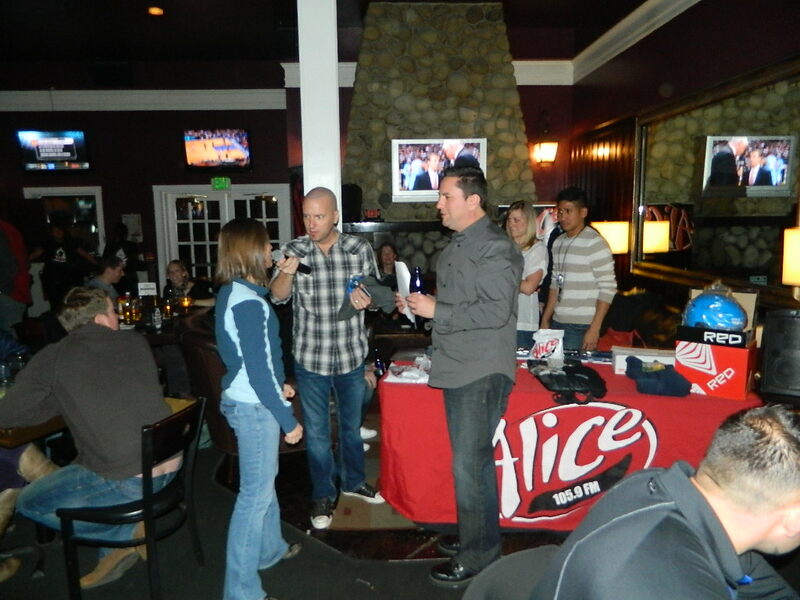 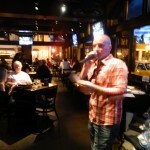 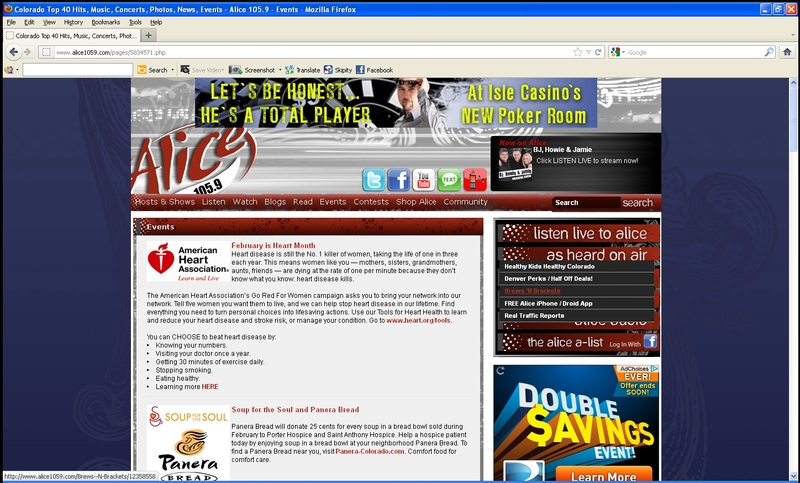 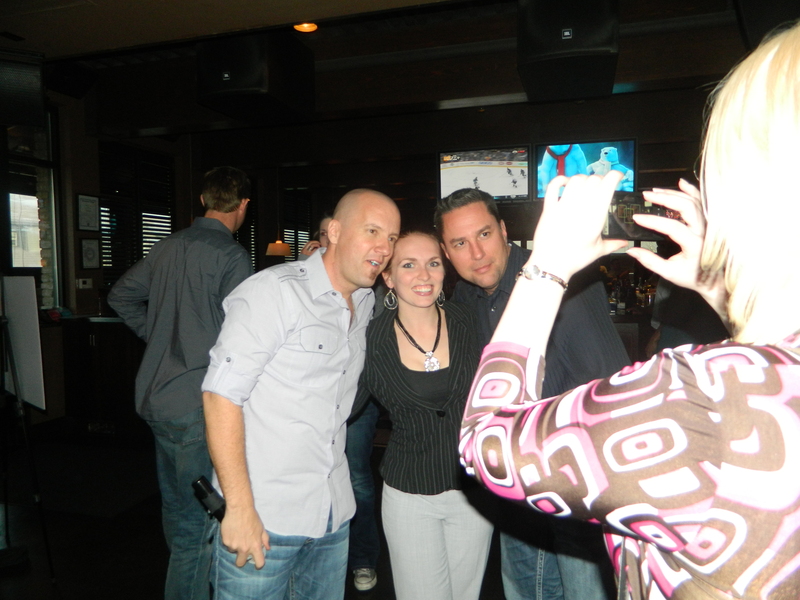 Live chatter, recorded commercials and online details drove Alice listeners to the four events at various Tavern locations to join in the fun and for a chance to mingle with the favorite Alice DJ’s and win great prizes.